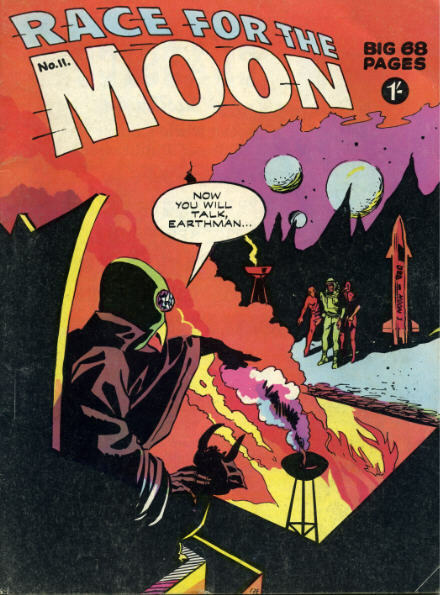 Race for the Moon was a Harvey comic that only lasted 3 issues in the late 1950s. 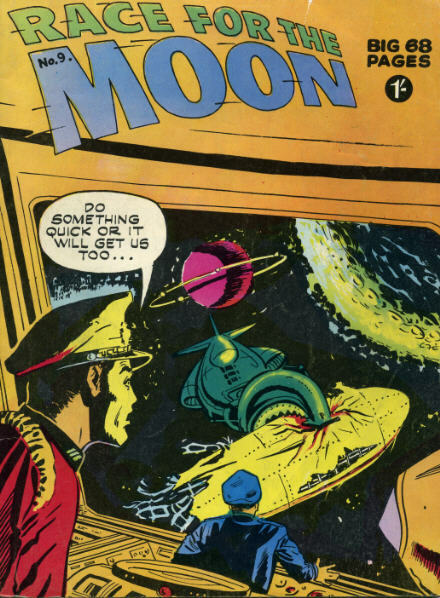 This Thorpe and Porter 68 page UK reprint managed a respectable 23 issues. 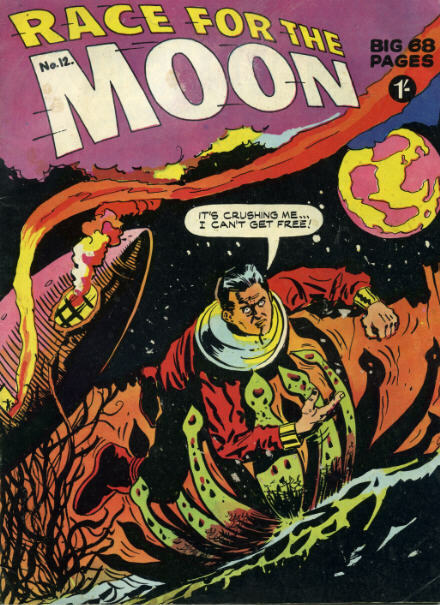 I presume the Harvey material appeared in the early issues. 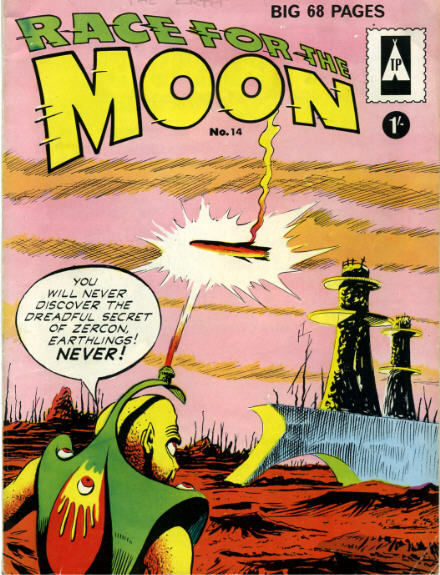 These issues contain ACG and National DC material and were originally published around 1960. Are these covers from ACG and National/DC or UK sourced ? Inside Issue 21 there is an advert for “Miracle Man” comic. I wonder who he was ? The back cover has one of the ubiquitous Charles Atlas adverts. Don’t get sand kicked in your face. If you want a “Magnetic personality” send off today!